In order to protect your personal information from being leaked, you should remove such things as Clickorati.com from your computer. Clickorati.com is a search engine that is supposed to provide you direct links to instagram photos or customized Twitter feeds. The website claims that it can help users to get a hold of relevant information without the need to access social networking websites. 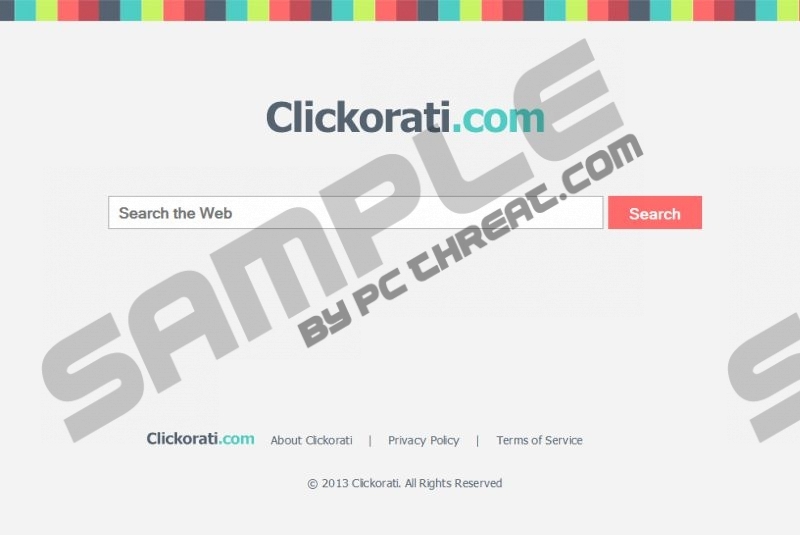 Even though Clickorati.com itself does not pose great danger to your system security, users are often advised to remove the search engine, because it may be indirectly related to malware distribution. Modifications that change your home page and default search engine to Clickorati.com are often performed when you install freeware applications downloaded from third party websites. Various toolbars and browser extensions are often bundled with additional applications or websites – your home page is usually changed with your own permission only you do not realize it. It just shows that you have to be very attentive and ready everything when you install a new program. Press Alt+F and go to Internet Options. Change your home page under General tab and click OK.
Press Alt+F and select Manage add-ons. Click Search Providers on the left and set a new default engine. Click search engine icon on the left of Firefox search box (top right corner). Select Manage search engines and remove Clickorati.com. Click OK. Select Open a page or set of pages and click Set pages. Remove Clickorati.com and enter a new home page address. Click OK.
Set a new default search engine and remove Clickorati.com. Click Done. To make sure that your system is not infected with malware, scan it with SpyHunter free scanner. Invest in a legitimate antimalware program if necessary. Quick & tested solution for Clickorati.com removal.